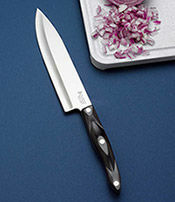 Store your knives safely and protect the edges. 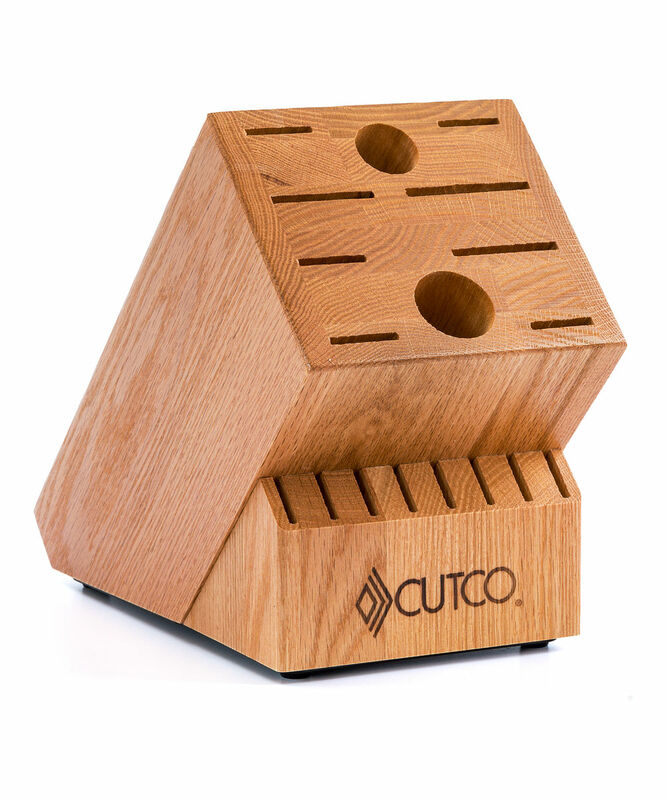 This oak block will keep your knives within easy reach. Looks beautiful on your counter. Versatile slots fit Homemaker Sets pieces and more. 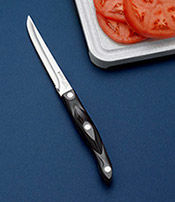 Footer accommodates 8 Table Knives. 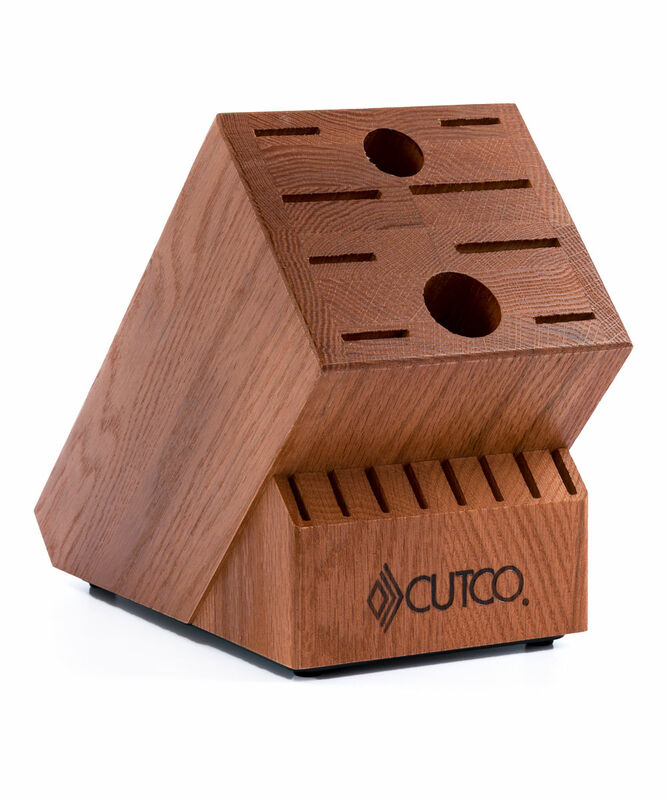 Available with honey or cherry finish. 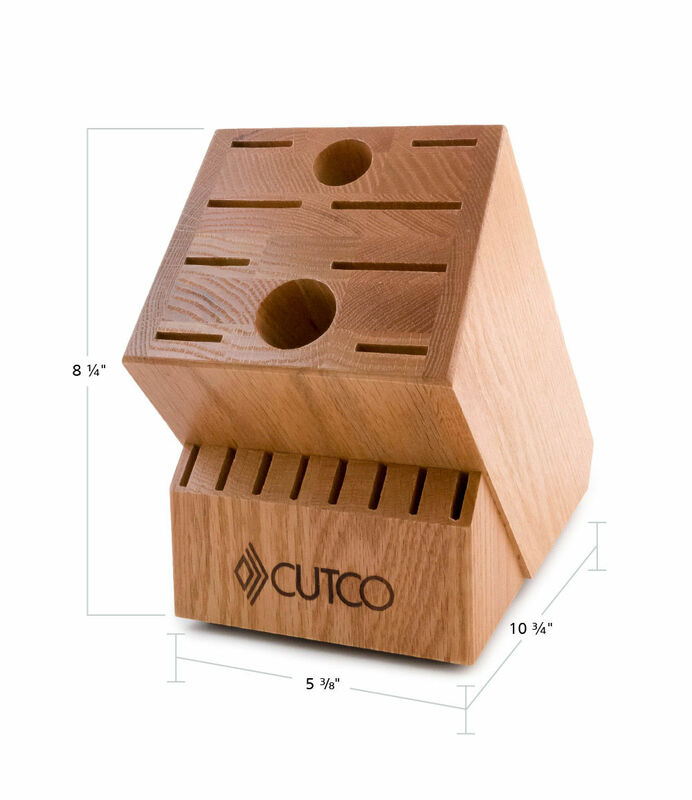 This handcrafted oak block is designed to hold 18 specific pieces. 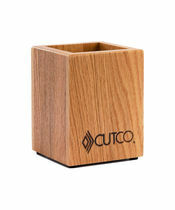 I have purchased Cutco products over ten + years. 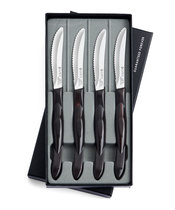 Having my knives mixed up in a drawer and keeping some in gift boxes has come to an end. My kids purchased this block for me for Christmas. 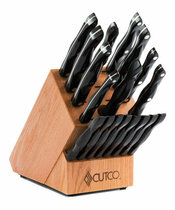 Now my knives are neatly organized! 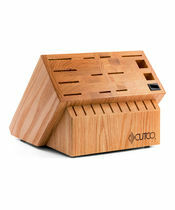 The block is sturdy, looks great and my knives are within easy reach of my work area.